The powerful i-FORCE 5.7L V8 engine featured in the new 2018 Tundra models available at Milton Martin Toyota have the brawn needed to help Gainesville, Florida owners tow whatever the job calls for. 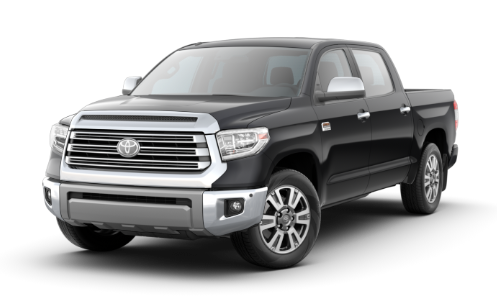 With features that include staggered outboard-mounted shocks, a heavy-duty TripleTech™ frame with integrated towing hitch receiver and a trailer hitch that utilizes 12 high-strength bolts that are integrated directly into the frame, the 2018 Toyota Tundra was engineered to be an all-around truck option that can accommodate any ocassion. A combination meter that includes a voltmeter, fuel gauges, coolant temperature gauges and engine oil pressure gauges helps owners keep a close eye on all of the important vitals of their new Tundra, elevating pickup truck technology and innovation to previously unexplored levels. Toyota Tundra’s 4.6L V8 engine is loaded with all of the latest state-of-the-art automotive technologies for model year 2018, allowing them to deliver up to 310 horsepower and 327 lb.-ft. of torque when mated with a 6-speed automatic transmission. 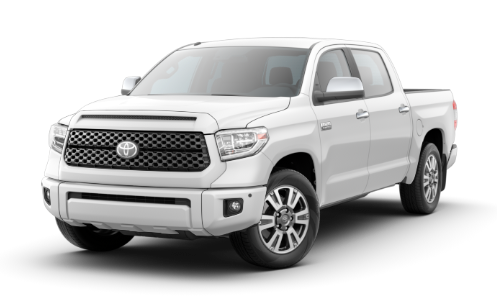 Combine that with Double Overhead Cams, a 32-valve head design and Dual Independent Variable Valve Timing with intelligence (VVT-i) and the 2018 Tundra lineup at Milton Martin Toyota can provide the power our Gainesville, Georgia customers have come to expect from these innovative full-size pickups. 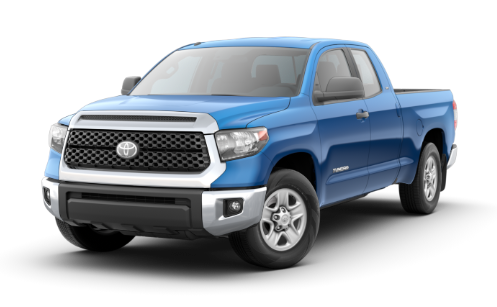 Tundra’s i-FORCE 5.7L V8 engine produces 381 horsepower and 401 lb.-ft. of torque to go along with a standard Tow Package and engine and transmission oil coolers, which will certainly come in handy when you’re ready to do some heavy-duty towing. New 2018 Toyota Tundra pickup trucks are equipped with 4WD that includes the innovative A-TRAC system which works to optimize traction across both the front and rear axles simultaneously. This feature helps to improve the grip of your new Tundra when traveling on low-traction Gainesville, Georgia driving surfaces. 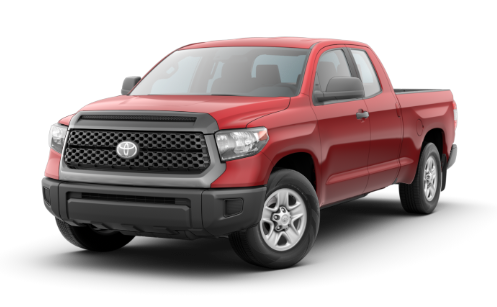 Toyota Tundra’s A-TRAC system also allows for full use of their 2-speed transfer case, ensuring owners will always have access to the impressive amount of torque that these powerful 2018 trucks can produce. Offering an impressive blend of modern day pickup truck functionality and convenience, the impressively spacious cabin of the new 2018 Toyota Tundra provides all occupants with an abundance of space from which they can stretch out and easily find their comfort zone. Premium materials can be found all throughout the interior of the 2018 Tundra models at Milton Martin Toyota, and the intuitive control layout of these exciting new trucks puts all the important tech features these innovative trucks have to offer precisely where our Gainesville, Georgia customers are wanting them. 2018 Tundra models at Milton Martin Toyota are available with dual zone automatic climate control, including individual temperature settings for both the driver and front passenger. Some of our customers need their truck to double as their office, and this convenient feature of the 2018 Toyota Tundra can help ensure that all occupants can remain comfortable at all times. Tundra owners that opt for the available front bucket seats in these new 2018 models have access to a center console area that includes a covered storage compartment, as well as a convenient 12V auxiliary power outlet that ensures the electronic devices of both you and passengers can be kept fully charged and at full strength. Milton Martin Toyota serves customers from Gainesville, Oakwood, Alandale and all of the surrounding communities, helping them find the new 2018 Tundra they’ve been wanting. We’re proud of the exceptional level of customer service that our Gainesville dealership is known for providing, and we work hard to make sure that each person that walks through our doors leaves satisfied. If you’re thinking about purchasing a new 2018 Tundra, visit 3150 Milton Martin Toyota Way in Gainesville, Georgia and speak with one of our friendly and knowledgeable sales professionals.